Martha Biddle received her undergraduate degree in nursing from Thomas More College in Edgewood, Ky. She received both her master’s degree and Doctor of Philosophy in Nursing from the University of Kentucky (2002, 2011) where the focus of her doctoral studies was the role of dietary antioxidants in patients with heart failure. 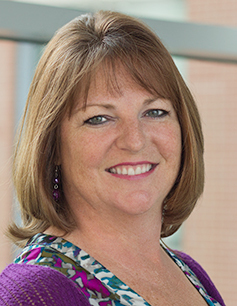 Dr. Biddle is an associate professor and coordinator for the Clinical Nurse Specialist Track in the Doctor of Nursing Practice Program. For the past 5 years she has served as the director of operations for the RICH Heart Program, a collaborative group of investigators with multiple NIH and HRSA funded projects. She has served as a project director on several multi-site and international studies. She received funding from the Southern Nursing Research Society (SNRS) and Sigma Theta Tau International for her dissertation project. Her work has been recognized with several awards, including the SNRS Dissertation Award, Nursing Research Award from the Heart Failure Society of America, and a Cardiovascular Disease Prevention Graduation Award from the Preventive Cardiovascular Nurses Association. Dr. Biddle is a certified clinical nurse specialist with a clinical practice in the cardiology clinic at the University of Kentucky. She provides care to adults with cardiovascular disease with a focus on prevention and risk factor reduction. Her research interests include secondary prevention of cardiovascular disease, specifically through nutrition and physical activity interventions.